We don’t know about you, but we are ready to leave the cold behind and spring into warmer weather. While winter was filled with snuggling up by the fireplace, it is time to trade in those nights by the fire for nights outside on your deck or patio enjoying the outdoors. We’ve been waiting all winter to get back outside and start hosting our family and friends in our outdoor living spaces. Besides the obligatory spring cleaning (we know, not our favorite either), we’ve got loads of tricks and tips for you on how to get your outdoor spaces ready for spring. The first step to living spring in full bloom is picking out flowers that compliment your outdoor spaces. Look at the colors in your cushions and accent pillows and use those colors when picking out your flowers. For instance, we love this throw pillow from Pottery Barn. If we were using this pillow in our patio, we’d pair it with some red chrysanthemums, red lilies, and orange daisies. Choosing flowers that help compliment your current furniture allows you to tie your space together, creating your very own outdoor oasis. Outdoor spaces give us the chance to be bold and to be adventurous. 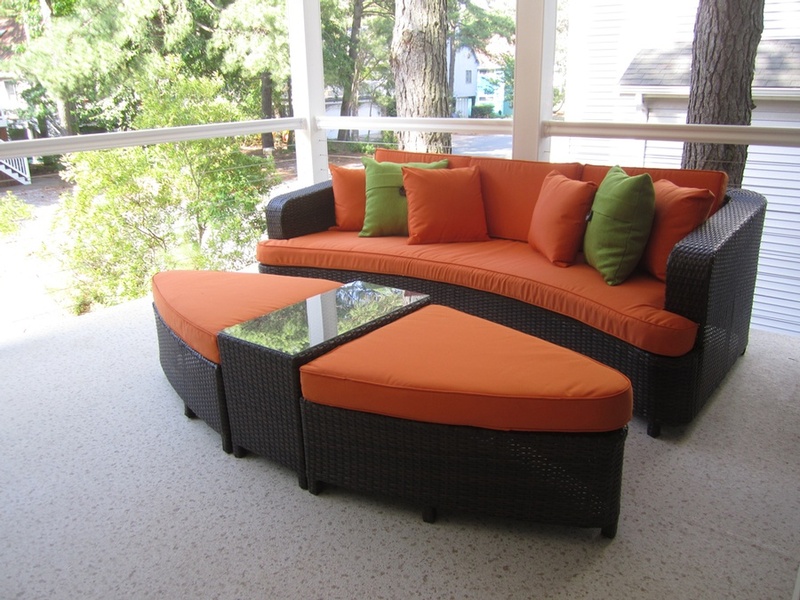 Let the sense of adventure find its way into bold color choices for your outdoor furniture and accents. Trade in those neutral color palettes for bright colors. Try a bright orange, coral, or lime green as accent pillows or pick out fun placemats with those bold colors. It will lighten up your outdoor space, making it fun and relaxing. Let’s be honest- the best part about an outdoor space is entertaining friends and family long into the night. The fun doesn’t stop when the sun goes down and adding additional lighting allows you to continue entertaining outdoors. There are so many options to add more lighting. You can hang string lights on the edge of a patio or deck or string them around an umbrella over a table. Adding lanterns is an easy way to set the ambiance while being practical. You can place lanterns on a table or use them to light up pathways in your outdoor space. Or you can light candles to brighten up the space. Incorporating these little lighting tricks into your outdoor space while you keep the party going all night. 4. Create a vegetable patch to add even more color to your space. Want to add color while being practical? Creating a vegetable patch gives your space more color while getting those farm to table vegetables that will find their way into your culinary masterpieces. We know some of you may be intimidated by creating your own veggie patch, but here are some fool-proof veggies that you can grow that will add color into your space. Cherry Tomatoes! 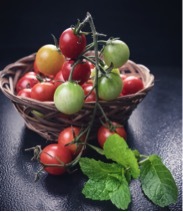 Tomatoes can grow in hanging baskets or in any container where they will get lots of sun. Zucchini and cucumbers are also easy to grow. Place them in containers with soil and in a place them with lots of sunlight and watch as these veggies fill your outdoor space with color. 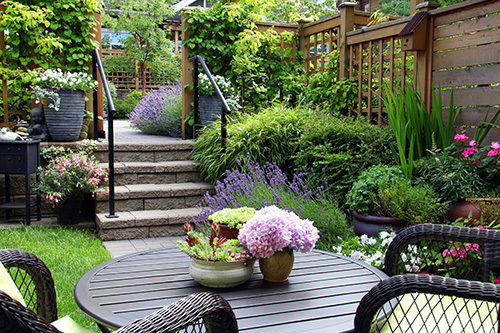 If you’re ready to say goodbye to winter and hello to spring, we want to see how you transform your outdoor spaces. Tag us in pictures on Facebook or Instagram to show us how you created your dream patio or deck. Need help finding that design inspiration? Call us at 703-599-0648 or 202-810-0120. 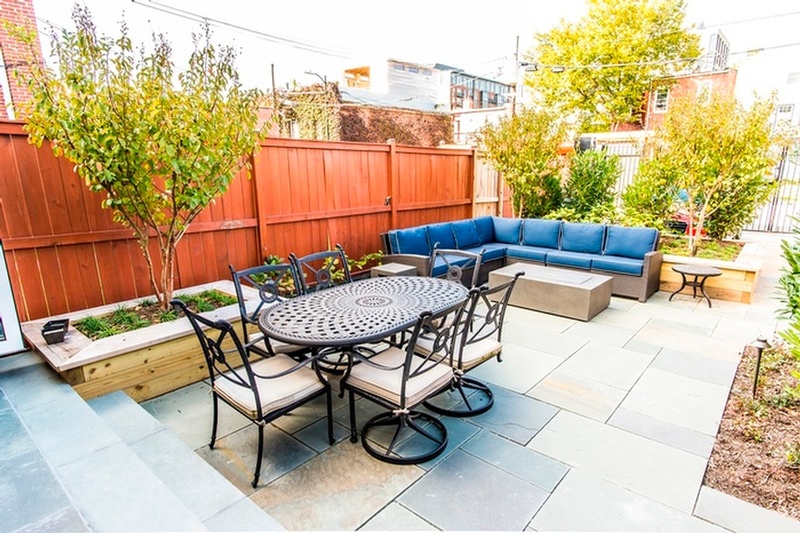 We’d love to see how we can help create your dream outdoor space.